With so many “diets” out there, chances are you’ve tried one or more of them and found them too difficult to follow. 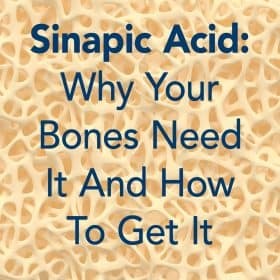 So you might be reluctant to follow a nutritional plan for your bones. But the Osteoporosis Reversal Program is not a “fad diet.” You don’t have to buy special pre-packaged meals, cut out entire food groups, or stock up on one particular food. In fact, the Program is more about a bone-smart lifestyle and living life to the fullest and healthiest than it is about restrictions and regimens. That’s why the following nine tips make so much sense in conjunction with an overall bone-smart lifestyle. If you’re hesitant about embracing a nutritional, drug-free approach to bone health, these tips will help encourage you to do it. While the principles are similar, the particulars of motivation vary with each person. For example, making a list of reasons you want to rejuvenate your bones without drugs is a general idea, but everyone’s list will look different. For some, it might be about avoiding the side effects of drugs; for others, it’s more about being physically active without worry. If the restaurant does not automatically serve water, ask for bottled water right away. Drink plenty before you order, and don’t order any other drink during the meal. Drinking before eating helps fill you up a bit, and avoiding sugary drinks with your meal (or any time) is always a good idea. If you have not been to the restaurant before, or if it’s been a while since you’ve been there, do an internet search to find their menu online. You can also call and ask for a menu to be faxed or e-mailed to you. Then you can prepare not only what you’re going to order, but any special requests will be known ahead of time (such as asking the cook to prepare your meal without added salt). Eat a healthful, alkalizing snack before you go, or in the car on your way. A handful of almonds, a piece of fruit… not only will you be filling up a bit before the meal, but you’ll be adding to your bone-building nutrient intake. I know how easy it is to get discouraged when you look at the big picture. Stepping back and looking at the “smaller picture” really helps keep things in perspective. The small picture is much more realistic. The small picture shows you what you need to do today. The small picture is the grocery list of alkalizing foods, the meal plans for the week, or the 15-30 minutes you plan to spend exercising tomorrow. Big changes start with forming small habits, and big goals are met in incremental steps. You can make just one small change for your bone health today – such as eating one pH-balanced meal – and not make another change for a week or more. It’s easy to carry this mentality into your bone-building efforts, but the Osteoporosis Reversal Program is a completely different mindset. The Program is about adopting a bone-healthy lifestyle, not achieving doctor-dictated results in a certain amount of time. Eventually, eating bone-smart foods and doing targeted, bone-density building exercise will become daily habits that you don’t have to think about. But such a comprehensive lifestyle change doesn’t happen overnight. Just do the best you can with following a pH-balanced diet and exercising regularly, and don’t condemn yourself if you slip now and then. It takes time, so be patient with yourself. Have you thought about asking someone to join you on your journey toward healthy bones? Sometimes, going it alone makes things a bit more difficult, and having someone join you can be just the thing to help keep you encouraged and motivated. Research supports what so many of us have always known: making changes is easier with a supportive partner or friend. On the practical side of things, this is one of the most important things you can do to stay on track. The Osteoporosis Reversal Program, and the companion cookbook, Bone Appétit, factor snacks in to the daily bone-saving nutritional plan. In fact, the Program takes the “naughtiness” out of snacking and turns it into something healthful you can do for your bones. Not sure what constitutes a bone-healthy snack? Foods like fresh fruit, almonds, raw veggies and hummus, and even smoothies are just some examples of snacks that build your bones with Foundation Supplements. They’ll also perk you up and give you more energy to get through the day. If you have a bag of pretzels in your pantry, you’re more likely to choose those over a crisp apple…especially if you didn’t follow #6 above, and you don’t have any apples in the house! This is where making a grocery list composed primarily of Foundation Foods comes in handy (as long as you stick to it). If you have family members who simply must have that box of candies or that bag of nachos, ask them to hide it from you. Consider the unhealthy snack their property. There’s no reason why this logic can’t be applied to healthy foods – keep them visible as much as possible, from pretty bowls of fruit to delicious bags of nuts. Remember, too, that an occasional treat is fine, and some are even bone-healthy, like dark chocolate (in moderation, of course). Before you know it, you’ll find yourself craving those bone-building snacks. When it comes to staying encouraged and positive on your journey to healthy bones, keeping your expectations realistic is a vital step. In fact, it’s a perspective you will likely need to re-evaluate and remind yourself of at various points on your journey. 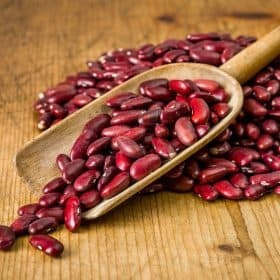 As you go forward, you may find that some of the expectations you thought were realistic actually weren’t, and you’ll need to step back for a “reality check.” As you begin to adopt a bone-rejuvenating lifestyle, you may get a bit too enthusiastic and think you can improve your bone density scores in a few months. Or you may have unrealistic ideas about your DXA scan numbers, so you feel disappointed if they are not up to your expectations. Instead, take some time to think through the Program and what you want to accomplish on it. If you adopt it as an overall lifestyle that you know improves bone and overall health, then your expectations are likely to be much more realistic. You may expect to feel better, for example, and have better balance to avoid falls. Of course, “realistic” does not mean “low.” You can certainly expect to improve your bone health, and the health of your whole body! Recognizing what the Osteoporosis Reversal Program is all about and developing your Bone Health Philosophy are crucial concepts for setting realistic expectations. 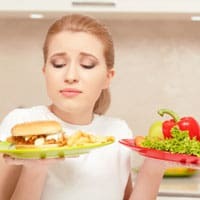 Interestingly enough, research shows an intriguing concept: implementing both dietary and exercise changes at the same time increases your chances of success. 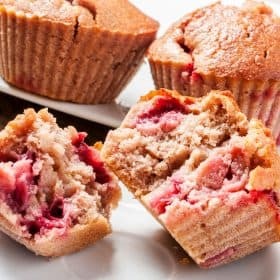 A 2013 study involving 200 participants, all over the age of 44, sheds some light on this topic.4 The participants who adopted a healthy diet and started exercising at the same time found it easier to stay motivated and stick to their commitments than the other groups, which underwent first exercise and then diet (and vice versa). This doesn’t mean you have to make sweeping, sudden changes. As mentioned earlier, incremental changes are best if you want to stay motivated and adopt an overall bone-healthy lifestyle. You can easily do this by making small changes in both categories at the same time. With clear, inspiring, enticing recipes and explanations, Bone Appétit takes all the guesswork out of cooking to build your bones. This companion cookbook to the Program lays out a month’s worth of meal and snack plans in the included bonus, the 30 Day Meal Planner. And Blender Magic and Calcilicious are also part of the Bone Appétit package. With Blender Magic you’ll explore a large variety of delicious smoothie recipes and Calcilicious is a collection of dishes that are particularly rich in calcium.. 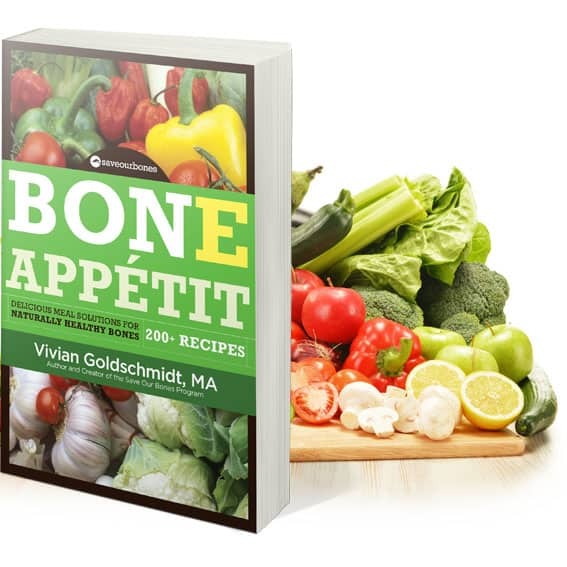 Bone Appétit makes it fun, easy, and enjoyable to stick to a bone-building diet. Am also interested to see how the Save Institute and Save Our Bones meld. Good for you Vivian. Look forward to receiving your informative emails and the encouragement they bring. Thanks Vivian have benefited from the information .Thought it was for another Grace. I do the programme hope will be there. You are very welcome, Annabelle. Thanks for your encouragement and dedication! is Bone Broth good for Osteoporosis? So many of the healthy snacks & recipes are nuts have nuts or nut oil. How about people with nut allergies? Lack of motivation can be a huge obstacle, so I try to picture what unhealthy food is doing to my body. For example, I recently had a fingernail fungal infection, and every time I had an opportunity to eat a food with sugar or something that turns to sugar, I could picture all those evil fungi inside me just waiting to get fed and grow bigger. I also wanted to destroy any acidic environment they might be enjoying. Can you tell us what drugs are effective in the fight for bone density? Is Boniva a good one? Thanks for your time in considering this. One year ago I began to have doubts about the drug Fosamax i had been prescribed for four years. After searching the internet I descovered the destructiveness of it and was very confused, I was afraid to take it but also afraid to stop. When I found the Save Our Bones website it was a small ray of hope but it was all I had. I changed doctors and stopped taking Fosamax and started on a new journey. In the last year I have learned so much and gradually made changes to my diet plus incorporated a variety of weight bearing excercises into my week. I can’t tell you how much better I feel – I have more energy and don’t get tired all the time as before. Reading todays article made me realise the transformation I had made and how positive it has been for me. Thank you for the way you simply and consistently provide helpful and accurate information it is a great encouragement. I love Number 9 especially. Exercise as part of a nutritional program is a revolutionary idea to me. I have been motivated to Keep On Keeping On by your emails, your encouragement, and the educational articles you offer. With Big Pharma doing their due diligence to get everyone on some type of drug for something, I am thrilled there is someone who is willing to speak out for the safe natural, simple ways of becoming healthy and building bone strength and health.Thank you. Question. Are any of the people in the Save Our Bones “family” using Essential Oils? In the reference book of Essential Oils many of the oils, either singles or blends, in addition to some of the Nutritionals may be helpful. This is all new to me so I am seeking information. Thank you very much. I love Save Our Bones and have told many people, including my Dr. all about it. I use Essential Oils for a variety of reasons. You are welcome to contact me. I am not a vendor or a distributor of any type, just a devoted fan and user. Vivian…This is what I really appreciate about your site…today’s e-mail is an example of what we need once in awhile just to remind us as we dash through our lives. I have been a member and followed you for years and have several of your books & save your e-mails on my computer. This ‘review today was wonderful and reminds me daily of what I need to continue forever. A couple of mos ago suddenly I was not getting your e-mails anymore. I contacted SOB and a great rep got back with me and after a few days I was getting the e-mails again. I so missed your weekly conversations & tips. Your encouragement is much appreciated, Meg! Thank you so very much for your loyalty to the Program, and for being such a dedicated Saver. I am glad to hear you’re getting my e-mails and updates again! These 9 steps are good advice to follow a bone healthy diet. I try to keep them in mind when I’m shopping and cooking meals for my husband. I did take Didrical for 5 years but when my sister introduced me to your program I got your book, Bone Appetit, and that helped also. I’m 80 years old and I have some arthritis and a few degenerative discs in my spine so I can’t do all the exercises, I pick and choose and do what I can. I’m still active, grow a big vegetable garden and look after my husband who has become blind and is an invalid. Thank you so much for all the work you do, the recipes, exercises, and healthful information you bring to us and congratulations on your latest good news about your Institute. you bring to us and congratulations on your latest good news about your Institute. Thank you for your congratulatory words, and for sharing some of your bone health experience. I applaud you for “picking and choosing” the exercises you can do. Keep up the great work!